Soldier. Summoner. Saint. 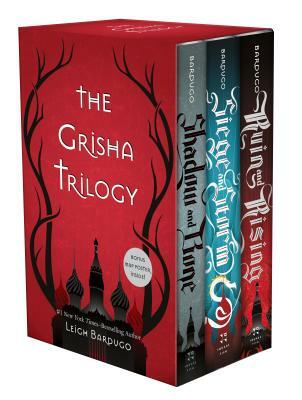 Follow Alina Starkov through Shadow and Bone, Siege and Storm, and Ruin and Rising as she discovers her dormant powers and is swept up in a world of luxury and illusion. As Alina struggles to fit into her new life, a threat to the kingdom of Ravka grows—one that will test old alliances and challenge the very limits of magic, one that will forge a leader from a frightened girl.